I’m feeling a little bit amazed that the year is now over and I actually fulfilled my commitment to do 365 days of God’s promises! I missed a few days earlier in the year, but mostly managed to post a new picture and scripture each day. The Lord really knew what he was doing when he prompted me to do this project. He knew over a year ago what my 2015 was going to look like and that I was going to need to dig into the scriptures each day to find a promise he made to his people. I hope you’ve enjoyed these lovely pictures taken by my daughter, Kayla Johnson, and I especially hope the verses I’ve shared have blessed you in some way. 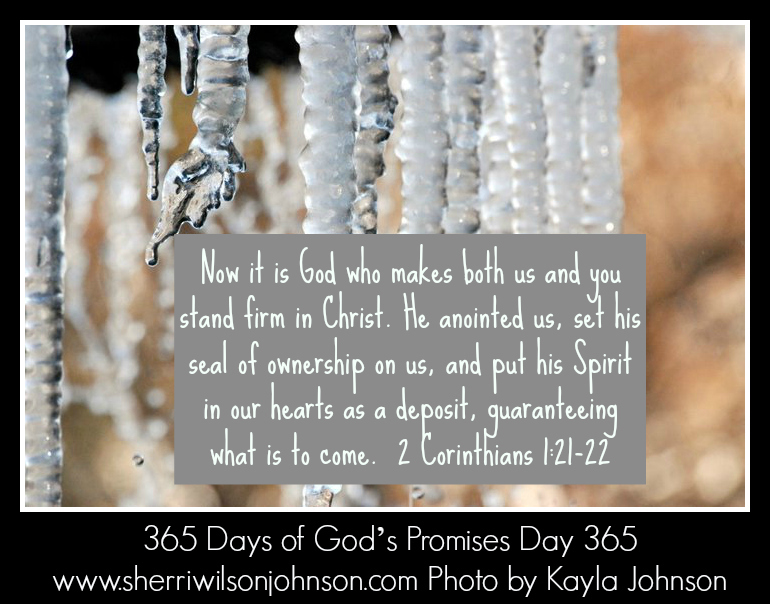 I’m not sure what project I’ll do next, or if I’ll even do one, but I’m sure glad I did the 365 Days of God’s Promises! Blessings to you in 2016!